A writer’s life is a highly vulnerable, almost naked activity.. . . .it is true to say that you are open to all the winds, some of them icy indeed. You are out on your own, out on a limb. You find no shelter . . .
“Harold Pinter: Nobel Lecture: Art, Truth & Politics." Nobelprize.org. My mini-series certainly took me into metaphorical icy atmospheres as well as, in reality, to the burning sands of the deserts. Here, however, is a gentler list of contributions to books, journals and blogs over the years – in this field of Writing for Wellbeing, as a journalist in my younger days, and more recently as a writer. That title of ‘writer’ as a noun took me many years to own compared with the verb ‘to write’ as a description of what I did. My first published piece was in Honey Magazine in 1981, thirty seven years ago. I’ve been writing a long time. Dying Bereavement and the Healing Arts. Edited by Gillie Bolton. London: Jessica Kingsley Publishers (2008). The Writer's Key: Introducing Creative Solutions for Life. By Gillie Bolton. London: Jessica Kingsley Publishers (2013). London: Jessica Kingsley Publishers (2011). 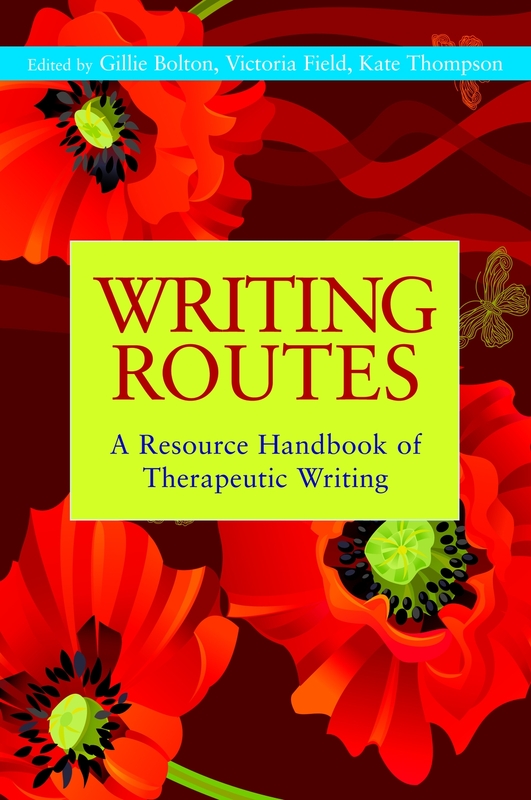 Writing Routes: A Resource Handbook of Therapeutic Writing Edited by Gillie Bolton, Victoria Field and Kate Thompson. London: Jessica Kingsley Publishers (2010). Writing Works: A Resource Handbook for Therapeutic Writing and Activities Edited by Gillie Bolton, Victoria Field and Kate Thompson. London: Jessica Kingsley Publishers (2006). The Cabin on the Hill appeared in Womens Huts and Hideaways by Gill Hertz, photographer Nicolette Hallett. Cico Books (2016). Learning Through Example in Art in Palliative Care edited by Gillie Bolton. Progress in Palliative Care. Vol. 14. Number 4. (2006). From Scribbles to Publication for the Lapidus News Hub (2018). A Story about a Narrative Poem (2016). A Four Hour Creative Therapeutic Writing Workshop (2015). Snow Necklace in the Needlewriters Anthology. Frogmore Press (2015). Ham and Eggs on a German Motorway in True Tales from the Old Hill. Frogmore Press. (2015). Rubber Bucket in Training Link: Newsletter of the Universities of Leicester, Lincoln, Nottingham and Sheffield Clinical Training Courses. No 70. (2005). Getting Away from it All for Banish Writers Block - Kim Fleet (2015). Mental Illness: The Benefits of List Making for Black Rainbow - Rachel Kelly (2015). The Importance of Finding Space to Write for Poetry Space - Sue Sims (2013). A taster of a few pieces as a freelance journalist in the 1980s – a consistency of themes runs through my interests. Voyeurism or a public path to understanding? Counselling on television is not just late night entertainment finds Monica Suswin. (Living Section) The Independent. 18 January 1988. Will Monica Suswin Ever Get Organized? The Time Manager Course Says She Can. She Magazine September 1986. It’s not what they say but the way that they say it. Women use the same words as men but enrich their conversations with a distinctive body language, Monica Suswin reports (Women’s Page). The Guardian. October 6 1986. Monica Suswin explores the power of silence: BBC Radio 4. 22 July 1985. Monica Suswin explores the power of speech: BBC Radio 4. 23 July 1985.